Lovely engagement pictures. 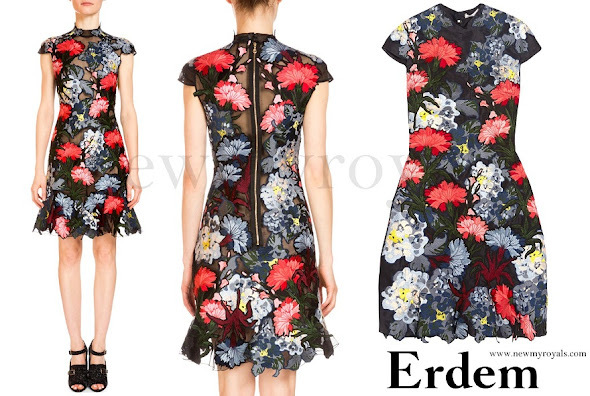 This Erdem dress suits Eugenie perfectly. Beautiful! Hope Bea finds happiness soon also. La bague de fiançailles et la Princesse sont superbes! Bien d'accord avec vous Rose. De plus, le fiancé paraît très bien aussi. À n'en pas douter, ils forment un beau couple. Eeek! Another great look but the ring wins the day=) so happy for them. Beautiful young lady. Wish them all the best! They are shining, and the ring is very beautiful. 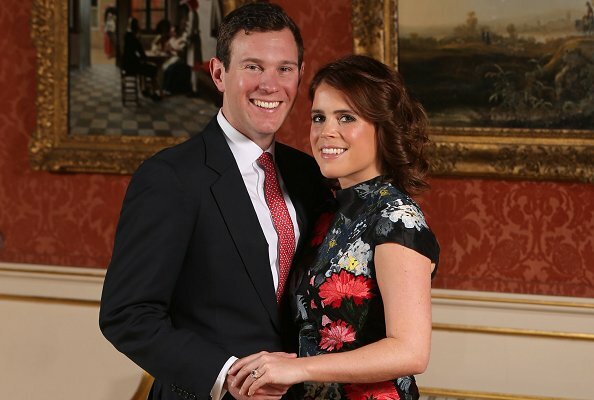 It suits Eugenie a lot. Shall we see a tiara? Sure! What you bet? I think she will wear her mother´s flower tiara. 😃 ... but I would prefer this ring. Beautiful gemstones! The padparadscha sapphire is absolutely gorgeous. And the setting is perfect. Love her dress and shoes. That is really a stunning stone and jewel. In some photos, the sapphire looks like a rosebud opening. And the color shifts slightly with the angle. Really stunning. Beautiful couple. She is the most beautiful in the royal family. I agree! Wish them all the best. She looks very good. A bit too busy background to be good engagement pics.